There’s always new projects and challenges, but now — for only the third time since 1981, we have a new address and phone number! Our new location is in the heart of what’s known in the Dallas/Fort Worth Metroplex as “The Telecom Corridor,” right next to where the new Richardson Urban Center will be. We are thrilled to be a part of this dynamic business community and hope to soon add many of these leading-edge new corporate neighbors to our client list. We are also thrilled to announce the debut of Studio Three, our new Sound Stage. Studio Three will be fully wired and ready to roll with single and multi-camera film and video packages, lighting and grip, audio, sets/scenery, props/wardrobe, Ultimatte, painted backdrops, and rear-screen projection capabilities. Along with our existing in-house capabilities, such as post-production, animation, scriptwriting and audio production, we are now completely turn-key. Equipment upgrades will continue to be announced and described along with other industry-related information in a new section called Tips. Channel Three Productions has always kept up with the newest trends in film/video production in order to enhance our clients’ productions without losing our cost-effective edge. We are committed to sharing this information and evolving our web-site and communications over The Net. One concept that we have gradually grasped since we have been on-line is that we need to address our information to both the first-time visitor to our site as well as to our seasoned regulars. For that reason, we have given our page a new, brighter look and we are now archiving previous stories, while we keep our What’s New Video Projects always fresh and steaming. As usual we ask you, if you happen to be strolling by our site, to let us know what you think. You also may want to “drop your card” so that you may receive updated information. You can visit our Video Gallery to see our latest work. Last Quarter we featured the 600GT Global Marketing Video for DSC Communications Corporation we produced in conjunction with Davis-Curry. This Quarter, we are pleased to announce that “600GT — The Power To Do More” won a 1997 Telly Award. 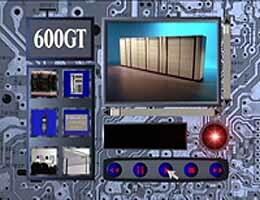 Shown world-wide to market the 600GT Switch Product, the video features 3D animated maps, databases, circuit-boards, and a simulated graphical user interface. Channel Three filmed 16mm sequences in studio and on-location at DSC with an international cast and an Ultimatte background for keying international location stock footage behind the switching panels. The soundtrack is an original jingle, “DSC: The Power To Do More.” The 600GT Video joins a long list of videos we have produced for DSC since 1992. Our most recent project, “Employee Satisfaction Journal” was modeled after “ABC News Nightline” and starred local anchor and personality, Alyce Caron. Just in time for our upcoming move to the Telecom Corridor, Channel Three was pleased to add another major telecommunications company to our client list. 1st Quarter ’97, we produced a video for AT&T’s Property Management Information System. This video included segments shot in local field offices as well as AT&T Headquarters in Seattle and featured many 3D animations. 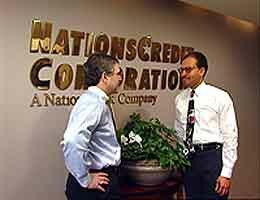 Another new client in ’97 was NationsCredit Corporation, which just relocated headquarters for its Consumer Branch Operations to Irving, Texas. Channel Three Productions produced the new office’s first Introduction Video to orient new associates to the history and corporate structure of NationsCredit and NationsBank. 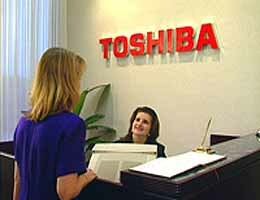 Toshiba America’s Procurement and Export division also just relocated to Irving, Texas, and Channel Three was again on the scene to create and Introduction Video to this operation. 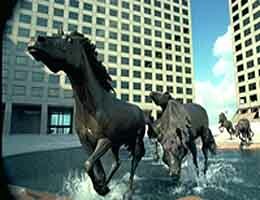 While we were on location in Irving so much in ’97, we managed to complete a new ICVB marketing video for meeting planners across the country. Titled, “Irving, Texas: Where the Lone Star Shines Brightest”, the video features actor Terry Brennan portraying a corporate customer on location discussing the attributes of DFW Airport, the TPC Four Season Golf Resort, and various other Irving accommodations and attractions. film actress, Angie Bowling (RoboCop, Texasville) provided the voice-over. 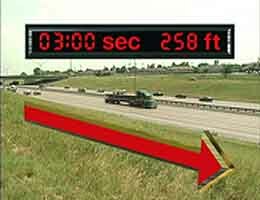 The graphics were designed to tie into the Bureau’s brochures and web-site (www.irving.texas.com) created by their agency, Maloney Strategic Communications. Exciting footage was also generously donated by the Cowboys, Mavericks, Rangers, Stars, Byron Nelson, etc. Now with a significant body of work for the bureaus and chambers of Irving, Addison, Dallas, Plano, and Bryan, among others, Channel Three hopes to play a part in the marketing of our new neighborhood, Richardson-Telecom Corridor. 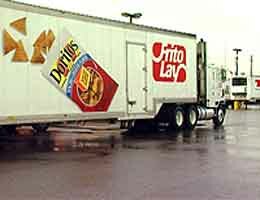 We are proud of our long-standing relationship with Frito-Lay, dating back over a decade. In the past year, we have produced an unusually large number of projects that took us from Northern and Southern California to Houston, Lubbock and Dallas. The purpose of several of the videos were to highlight new information systems, team processes and manufacturing operations of the individual plants we filmed throughout the country. Channel Three has been producing videos and commercials for CompUSA since the 80’s, when it was known as Soft Warehouse. Working in conjunction with Italia/Gal Advertising, we have produced national Anniversary spots as well as regional Grand Opening spots for new stores throughout the country. 1997 got off to a pleasant start for us with the broadcast of the “Happy New Year” spot during halftime of the CompUSA Citrus Bowl. 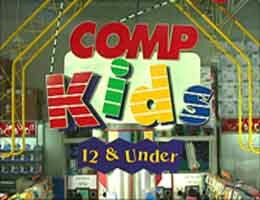 The spot featured the President of CompUSA and over 20 professional child actors “playing” in the new CompKids section of the store. 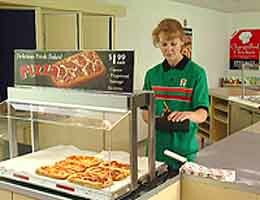 Another long-standing client is 7-Eleven. Our most recent project was an employee training video centered on the preparation and merchandising of Deli Central Pizza. The hot new product is being test-marketed around the country and judging from the many tasty slices we consumed throughout the shoot, there’s now a whole new reason to go to 7-Eleven. Spanning over a thousand miles of highway and many rest-stops and truck-stops along the way, Channel Three produced a training video to be used throughout the trucking industry identifying safety and fatigue issues faced by the industry offering solutions to combat it. The video combined testimonials from real drivers we interviewed at various stops, with demonstration and reenactment scenes we filmed with professional actors. For the opening crash scene we staged, we were fortunate to work with very cooperative and patient trucking companies, police officers and junkyards to make the video realistic and absorbing.